Match ends, Hapoel Haifa 1, Atalanta 4. Second Half ends, Hapoel Haifa 1, Atalanta 4. Attempt missed. Gal Arel (Hapoel Haifa) right footed shot from outside the box is close, but misses to the left following a corner. Corner, Hapoel Haifa. Conceded by Robin Gosens. Attempt missed. Musa Barrow (Atalanta) right footed shot from the right side of the box misses to the right. Assisted by Andreas Cornelius with a through ball following a fast break. Foul by Andreas Cornelius (Atalanta). Hen Dalmoni (Hapoel Haifa) wins a free kick in the defensive half. Foul by Gal Arel (Hapoel Haifa). Robin Gosens (Atalanta) is shown the yellow card for a bad foul. Foul by Robin Gosens (Atalanta). Gal Arel (Hapoel Haifa) wins a free kick in the defensive half. Attempt blocked. Almog Buzaglo (Hapoel Haifa) right footed shot from outside the box is blocked. Assisted by Guy Hadida. Goal! Hapoel Haifa 1, Atalanta 4. Musa Barrow (Atalanta) right footed shot from the centre of the box to the bottom left corner. Assisted by Mario Pasalic. Substitution, Atalanta. Andreas Cornelius replaces Alejandro Gómez. Offside, Hapoel Haifa. Guy Hadida tries a through ball, but Almog Buzaglo is caught offside. Corner, Atalanta. Conceded by Hen Dalmoni. Attempt blocked. Musa Barrow (Atalanta) right footed shot from the centre of the box is blocked. Assisted by Alejandro Gómez with a cross. Attempt saved. José Luis Palomino (Atalanta) right footed shot from very close range is saved in the centre of the goal. Assisted by Rafael Toloi. Attempt missed. 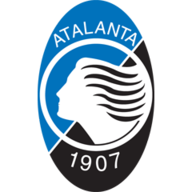 Rafael Toloi (Atalanta) header from the left side of the six yard box misses to the right. Assisted by Alejandro Gómez with a cross following a corner. Corner, Atalanta. Conceded by Ernestas Setkus. Attempt saved. Musa Barrow (Atalanta) right footed shot from outside the box is saved in the top left corner. Assisted by Robin Gosens. Attempt missed. Mario Pasalic (Atalanta) right footed shot from the centre of the box is too high. Foul by Maxim Plakushchenko (Hapoel Haifa). Corner, Hapoel Haifa. Conceded by Andrea Masiello. Attempt blocked. Gabriel Tamas (Hapoel Haifa) right footed shot from the right side of the six yard box is blocked. Assisted by Guy Hadida with a cross. Substitution, Hapoel Haifa. Gal Arel replaces Athanasios Papazoglou. Corner, Atalanta. Conceded by Rasmus Sjostedt. Goal! Hapoel Haifa 1, Atalanta 3. Mario Pasalic (Atalanta) header from very close range to the high centre of the goal. Assisted by Musa Barrow with a headed pass. Attempt saved. Rafael Toloi (Atalanta) right footed shot from the centre of the box is saved in the centre of the goal. Assisted by Musa Barrow. Guy Hadida (Hapoel Haifa) wins a free kick in the defensive half. Substitution, Atalanta. Musa Barrow replaces Duván Zapata. Attempt missed. Guy Hadida (Hapoel Haifa) left footed shot from outside the box misses to the left. Assisted by Athanasios Papazoglou. Substitution, Atalanta. Mario Pasalic replaces Matteo Pessina. Substitution, Hapoel Haifa. Eli Elbaz replaces Radu Ginsari. Substitution, Hapoel Haifa. Guy Hadida replaces Gil Vermouth. Attempt blocked. Dor Malul (Hapoel Haifa) left footed shot from the right side of the box is blocked. Attempt blocked. Athanasios Papazoglou (Hapoel Haifa) right footed shot from outside the box is blocked. Attempt missed. Robin Gosens (Atalanta) left footed shot from outside the box is too high following a corner. Corner, Atalanta. Conceded by Gabriel Tamas. Attempt blocked. Alejandro Gómez (Atalanta) right footed shot from outside the box is blocked. Matteo Pessina (Atalanta) wins a free kick in the attacking half. Foul by Radu Ginsari (Hapoel Haifa). Gabriel Tamas (Hapoel Haifa) wins a free kick in the defensive half. Attempt missed. Maxim Plakushchenko (Hapoel Haifa) right footed shot from outside the box misses to the left. Assisted by Nissim Kapiloto. Attempt missed. Remo Freuler (Atalanta) right footed shot from outside the box misses to the right. Assisted by Robin Gosens. Matteo Pessina (Atalanta) wins a free kick on the left wing. Foul by Dor Malul (Hapoel Haifa). Second Half begins Hapoel Haifa 1, Atalanta 2. First Half ends, Hapoel Haifa 1, Atalanta 2. Attempt saved. Athanasios Papazoglou (Hapoel Haifa) header from the right side of the box is saved in the bottom left corner. Attempt missed. Matteo Pessina (Atalanta) left footed shot from outside the box is too high. Assisted by Marten de Roon. Hand ball by Duván Zapata (Atalanta). Attempt saved. Hans Hateboer (Atalanta) left footed shot from the left side of the box is saved in the centre of the goal. Assisted by José Luis Palomino with a through ball. Attempt blocked. Hans Hateboer (Atalanta) right footed shot from the right side of the box is blocked. Assisted by Marten de Roon. Attempt missed. Gabriel Tamas (Hapoel Haifa) right footed shot from outside the box misses to the left. Assisted by Gil Vermouth. Athanasios Papazoglou (Hapoel Haifa) wins a free kick in the defensive half. Attempt saved. Alejandro Gómez (Atalanta) right footed shot from the centre of the box is saved in the centre of the goal. Assisted by Remo Freuler. Attempt missed. Gabriel Tamas (Hapoel Haifa) right footed shot from more than 35 yards is high and wide to the right. Assisted by Maxim Plakushchenko following a set piece situation. José Luis Palomino (Atalanta) is shown the yellow card for a bad foul. Athanasios Papazoglou (Hapoel Haifa) wins a free kick on the left wing. Attempt blocked. Marten de Roon (Atalanta) right footed shot from outside the box is blocked. Assisted by Alejandro Gómez. José Luis Palomino (Atalanta) wins a free kick in the defensive half. Foul by Athanasios Papazoglou (Hapoel Haifa). Corner, Atalanta. Conceded by Nissim Kapiloto. Goal! Hapoel Haifa 1, Atalanta 2. Duván Zapata (Atalanta) right footed shot from the centre of the box to the bottom left corner. Assisted by Rafael Toloi with a through ball. Remo Freuler (Atalanta) hits the right post with a right footed shot from outside the box. Assisted by Alejandro Gómez. Attempt saved. Athanasios Papazoglou (Hapoel Haifa) header from the centre of the box is saved in the top centre of the goal. Assisted by Rasmus Sjostedt. Attempt saved. Maxim Plakushchenko (Hapoel Haifa) right footed shot from outside the box is saved in the centre of the goal. Assisted by Almog Buzaglo. Goal! Hapoel Haifa 1, Atalanta 1. Hans Hateboer (Atalanta) left footed shot from the centre of the box to the bottom right corner. Attempt saved. Alejandro Gómez (Atalanta) left footed shot from outside the box is saved in the centre of the goal. Attempt blocked. Rafael Toloi (Atalanta) right footed shot from outside the box is blocked. Assisted by Matteo Pessina. Attempt saved. Maxim Plakushchenko (Hapoel Haifa) right footed shot from outside the box is saved in the centre of the goal. Assisted by Dor Malul. Offside, Atalanta. Rafael Toloi tries a through ball, but Duván Zapata is caught offside. Goal! Hapoel Haifa 1, Atalanta 0. Almog Buzaglo (Hapoel Haifa) header from the centre of the box to the bottom right corner. Assisted by Gabriel Tamas following a set piece situation. Dor Malul (Hapoel Haifa) wins a free kick in the attacking half.